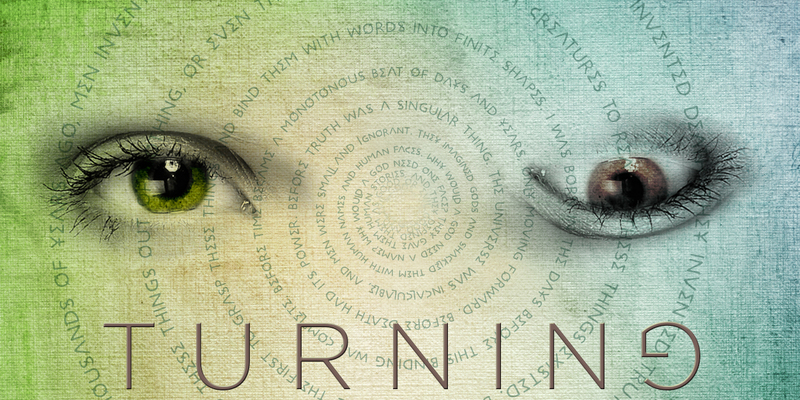 I’m currently querying for my paranormal novel, TURNING, (up to eight rejections so far!) and I started working on a promo image for the book. Here it is. I kind of like it. Promo image for TURNING. 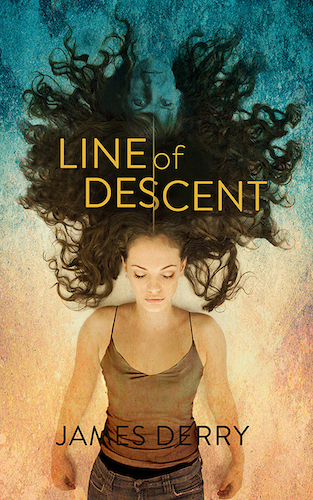 My paranormal novel about reincarnation through possession. It took a while browsing through stock photos to find a pair of eyes that worked as a pair once I flipped the left eye upside-down. I’m a little worried that the image looks more grotesque than eerie (eerie is what I was going for). But hopefully the spiral of text helps to convey the idea of ‘juxtaposition’ as opposed to disfigurement! The text is part of an occult scripture in the book, so it was nice to get to use it here. I think the rough canvas background also helps to convey the idea of something ancient and possibly a little bit sinister. I picked the sea foam color because the story takes place on the coast, and I think it helps keep the image inviting. Finally, there’s the Gotham font for the title. Gotham the official font of the Obama campaign and of most of Coke’s marketing. If you’ve seen a san-serif font on a print ad in the last six years, there’s a 50% chance it was Gotham. But there’s a reason Gotham’s so popular: it’s a damn good font, both for text and for headlines. I think it gives a clean, calm, inviting feel—as opposed to a font called Splatterpunk or the like. Also, it needed to have a nearly round ‘G’ for the rotated letter at the end. But maybe Futura would have been a little less cliched. Please let me know what you think! And check out more info on the TURNING page. And read a Junji Ito book if you’re into comics! No, I haven’t checked on elance yet. Have you used them and had good results? Right now, I’m more interested in finding a good copyeditor, so they might be a good resource for that! Elance is definitely a good way to try and get various options and ideas. You don’t have to commit unless you like what they offer. Let us know how you go!